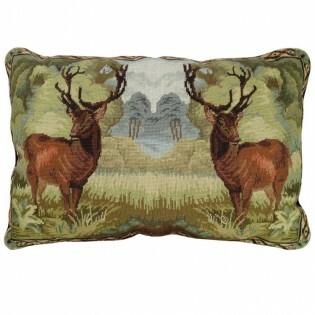 The beautiful handmade Double Elk Needlepoint Pillow is made from 100% wool with a black cotton velvet zippered back. 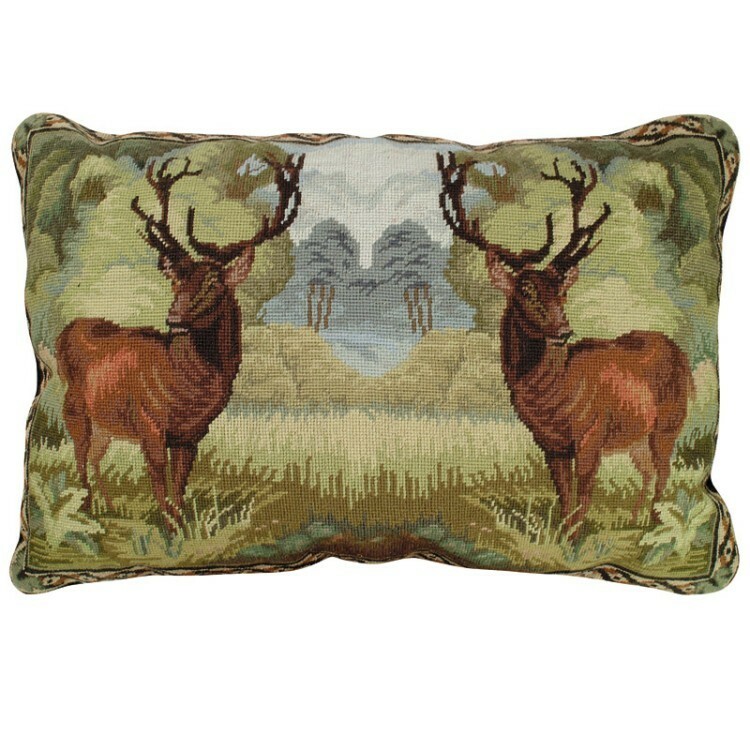 This pillow features two gorgeous elk stand elegantly in the forest. Exquisite detail.